When you have pain in your back, it could mean that you have a herniated disc. This spinal disc problem can cause pain that is mild or severe and persistent, making it hard for you to do your usual activities. At West Omaha Chiropractic and Sports Injury Clinic, we provide chiropractic care to treat herniated discs and help you heal. A herniated disc happens when the inner portion of a spinal disc pushes through the exterior part, which can occur when this outer layer cracks. Your spinal discs become more prone to herniation as you age, since they end up losing much of their flexibility. You can also end up with a bulging disc, which occurs when the inner part of a spinal disc pushes against the weakened outer part. If this outer part cracks, it becomes disc herniation. Herniated disc symptoms occur when the affected disc irritates nerves in the surrounding area, causing pain and tingling. Depending on which part of your back has disc herniation, nearby parts of your body might also be affected. 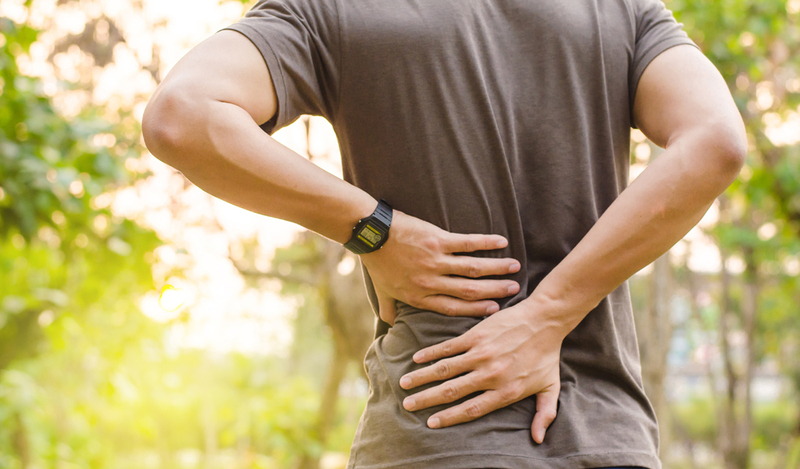 A herniated disc in your upper spine can cause soreness, tingling and weakness in your arm, while a herniated disc in your lower spine can cause these symptoms to develop in your leg. The pain you are in might flare up when you make certain, sudden movements, such as sneezing. Disc herniation can prevent you from doing your regular activities and make day-to-day tasks hard to accomplish. You might also develop problems sleeping if you are unable to get comfortable. Chiropractic treatment for a herniated disc at our Omaha clinic can help you recover and resume your daily routine. This kind of care includes spinal manipulation or adjustments that are designed to restore your spine to a proper alignment. Your spinal discs can become misaligned when you have a herniated disc, which can cause you to develop chronic pain. When your spine is properly aligned, oxygen, water and nutrients are able to get to your herniated disc and help it heal through natural means. This helps reduce the pain you are in and also lowers your risk of continuing to have back pain and other symptoms. Our chiropractor can perform these adjustments as often as you need them in order to find the relief you need, so you can sleep better and enjoy your usual activities. If you have pain due to a herniated disc, please contact West Omaha Chiropractic and Sports Injury Clinic. Our chiropractor in Omaha will assess your condition and provide you with effective, non-invasive care to relieve your pain.